Join us on for a workshop in which you'll learn to embroider circuits! You heard us right —we'll use conductive thread and embroidery floss to create a embroidery design that lights up! Over the past few years, people have started making circuits in new ways using conductive materials — paints, thread, fabric, tape, pens, and the list goes on. This has enabled incredible experimentation from artists, designers, and crafters. From quilts that tell you stories, to illustrations that light up, many people have been playing with the potential of these new materials. And so will we! 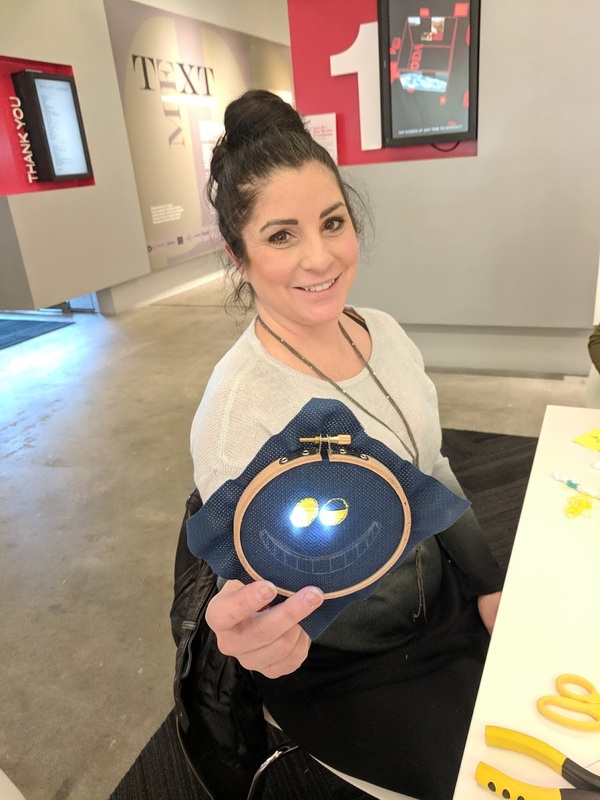 You’ll make your own pattern, learn embroidery strategies, explore how circuits work, and figure out to combine the embroidery with electricity in a light-up design! We’ll have inspiration available and some sample patterns to draw from, but start thinking about your pattern now. Bring your ideas and we’ll provide the four inch hoops, needles, and LEDs! Participation and Materials Fee: $40 for non-members, $35 for MODA members. This fee covers everything you need to create and bring home your own awesome cross stitch: 4" hoop, AIDA cloth, needle, threader, embroidery floss, conductive thread, coin cell batteries, LEDs, and a sewable battery holder. It also includes admission to MODA’s current exhibition, Making Change: The Art and Craft of Activism. Appropriate for ages 14+. Please reach out to the facilitator, Jess Lewis if you have questions or accessibility needs. If you must cancel your plans, please notify us at least 7 days prior to the event start to receive a refund of the ticket cost minus a $10 processing fee per class. Refunds are not available if we are notified less than 7 days prior to the event start. Refunds are not available if you fail to notify us or attend the event. MODA reserves the right to cancel a program if registration for the event does not meet the minimum enrollment requirements. If MODA cancels a program, a full refund will be issued to all registrants. 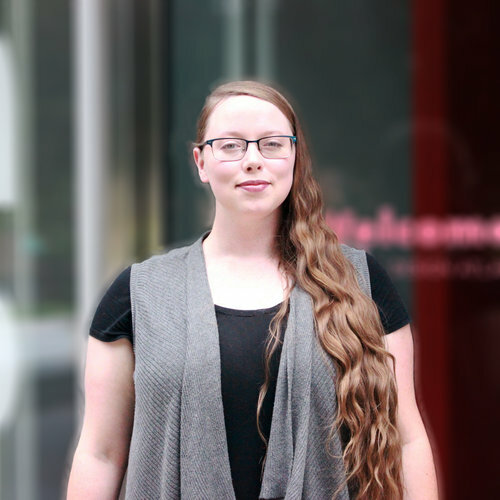 Jessica joined MODA as a Public Programming Designer in June 2017 after working professionally as a user experience designer in Atlanta and completing degrees in Digital Media from GA Tech and Literature from UNCA. With on-the-ground experience running projects, conducting action research, designing experiences, and facilitating design thinking workshops with myriad stakeholders, she’s excited to bring a large participatory design toolset to MODA.